27 Comments This post may contain affiliate links. 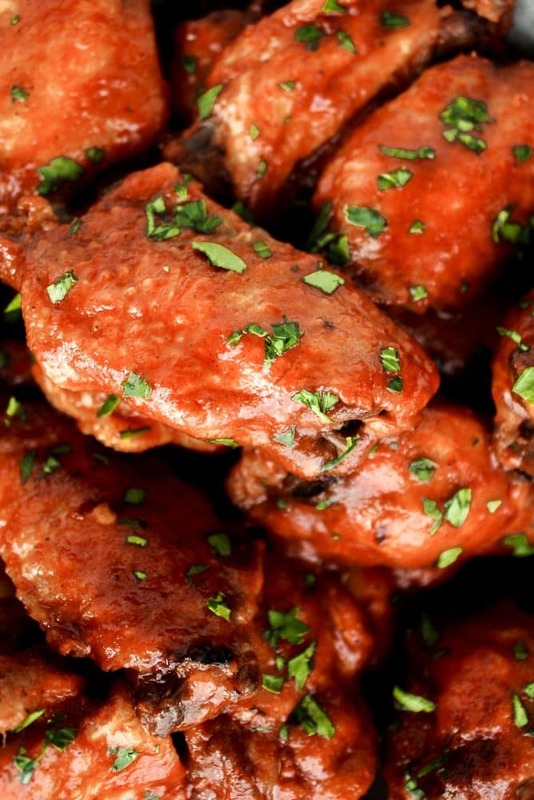 Chicken wings top the chart on my Could-Eat-For-Every-Meal-Every-Day List. I honestly NEVER get bored with them. 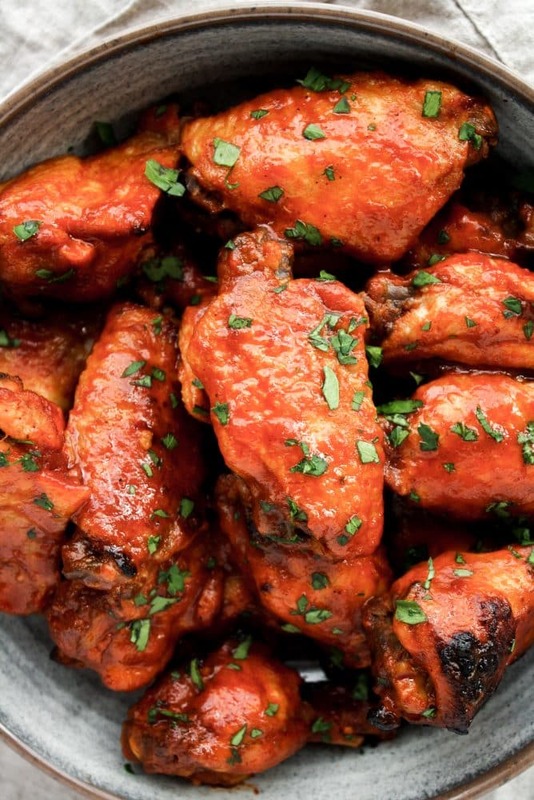 With the Instant Pot as the primary kitchen appliance in our household, wings are cooked and ready to be served in less than an hour, with practically 0% effort. That’s my kinda weeknight meal! Traditional barbecue sauce is sweetened with sugar, molasses, honey, etc., which are all not an option when following a low-carb, ketogenic diet lifestyle. Because of this, I’ve loved experimenting with low-carb alternatives to develop a barbecue sauce that not only mimics the kind you’d find bottled at the grocery store, but that surpasses all flavor expectations! This sauce is completely customizable based on your preferences. Not a fan of spicy? Omit the hot sauce and cayenne! Want it a little sweeter? Add an extra teaspoon of monk fruit sweetener! Taste the sauce along the way and have fun with it! I’ve made this sauce so many times and still find new depths of flavor with each batch! These Chicken Wings Are Quick And Easy To Prepare Party Appetizer! When we host people at our house or when we are invited to a party, I always bring a dish-to-pass that both tastes delicious and that I know I personally will be able to eat. 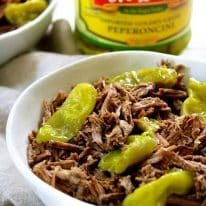 This recipe is the perfect choice as it takes less than an hour to prepare, I always have the ingredients on hand, it’s low-carb, and tastes SO GOOD. I have made this recipe multiple times and people never even know it’s low-carb, paleo-friendly, and refined-sugar-free! 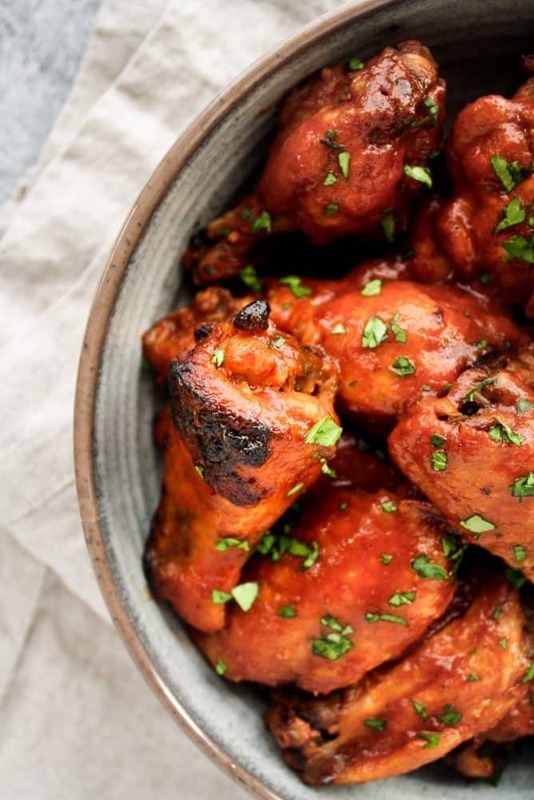 With only 1.6 grams of net carbs per serving, you can enjoy these Instant Pot Low-Carb Sweet & Spicy Barbecue Chicken Wings and remain in ketosis! This recipe is low-carb, keto, paleo, dairy-free, gluten-free, grain-free, and refined-sugar-free. One of my favorite parts about this dish is that it is perfect to prep as a freezer meal. I love to throw all of the ingredients together and store it away until a busy night rolls around! Once that night comes, I simply thaw the bag and then throw the ingredients into a slow cooker or Instant Pot. It saves me a TON of time. There is no meal prepping AND no clean up! These Instant Pot Low-Carb Sweet & Spicy Barbecue Chicken Wings are the ultimate keto-friendly appetizer! This recipe is low-carb, keto, paleo, dairy-free, gluten-free, grain-free, refined-sugar-free, and has only 1.6g net carbs per serving! Add all barbecue sauce ingredients to a small pot. Over medium-high heat, bring sauce to a slight boil. Reduce heat to medium-low and allow sauce to simmer for 10 minutes. To a medium bowl, add chicken wings and coarse salt. Stir until wings are coated in salt. Add salted wings to the Instant Pot insert. Pour sauce over top of wings. Seal the Instant Pot lid and set to Manual setting for 10 minutes. After the timer goes off, using the quick release method, depressurize the Instant Pot. Turn on oven broiler and move oven rack to second from the top. Line a baking tray with aluminium foil and set a baking rack on top of lined tray. Spray baking rack with avocado oil cooking spray. Using a tongs, transfer wings from the Instant Pot insert to baking rack. Using a basting brush, brush barbecue sauce from the Instant Pot insert onto both sides of the chicken wings. Broil wings for 8-10 minutes, flipping halfway. Be sure to watch the wings to ensure they only slightly char and do not burn. 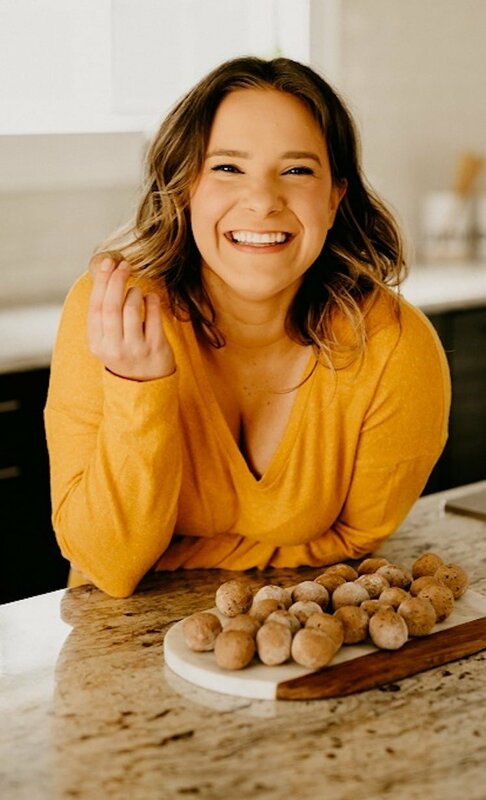 I love your recipes!!! I do have a question though. Whenever I precook chicken in my IP, the skin starts to come apart. Do you reccomend less time? Less pressure? Everything tastes great but it would look much better if the skin stayed intact. 🙂 Thanks! Hi, Sam! Thanks so much! I’m not entirely sure what the cause of that would be, but my initial assumption would be the kind of chicken itself. I’d recommend buying a brand of pasture-raised chicken wings that have a thick layer of skin attached to the bone. If you already do that, I would try using the metal rack in the IP insert so the chicken isn’t sitting in the liquid for as long. I hope that helps! Would this work with other types of chicken (no bone)? Trying to imagine eating chicken wings at my desk at work sounds messy but I could throw some on a salad! Hi, Anna! I haven’t tried an alternative, but chicken thighs would likely work! I’d imagine the cook time would be similar to that of the chicken wings. Oooo must try this!!!! We just got an instant pot for Christmas (to me from me). I used it for the first time last night and holy cow! It’s pure magic! LOL that’s the best kind of gift!! My IP is my fave! Hi there!! An Instant Pot is a multi-functional pressure cooker. 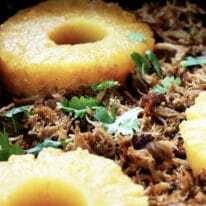 It can cook just about anything in a fraction of the time that a slow cooker or oven could. You can read more info on their Amazon product page here. 🙂 Hope that is helpful!! yes!! My husband is a big soccer fan too! Thanks, Karyn!! chicken wings are so popular but I have never seen a recipe as allergen-free as yours! I feel like this would work with almost any diet! (except vegan maybe haha) Thanks for sharing! thanks, Fiona!! They are so yummy and totally allergy-friendly!! Holy smokes, those look fantastic! Perfect for play off season! Thanks, Elle!! Exactly! I’m going to make them for the Super Bowl!! Oh my these look amazing! I can’t believe there are so many things you can cook in the instant pot. I may need to get me one! Thank you, Rezel!! My Instant Pot is my FAVORITE kitchen appliance by far!! Highly, highly recommend one! These turned out beautifully! I don’t eat very much meat these days, but I do have a weakness for chicken wings, especially when they have some kick to them. 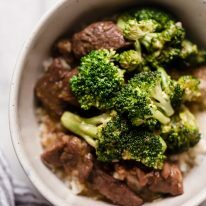 Great recipe and a nice use of the instant pot! thank you, Nicole!! Chicken wings are totally my weakness- I LOVE them! Thank you so much again for your comment!! 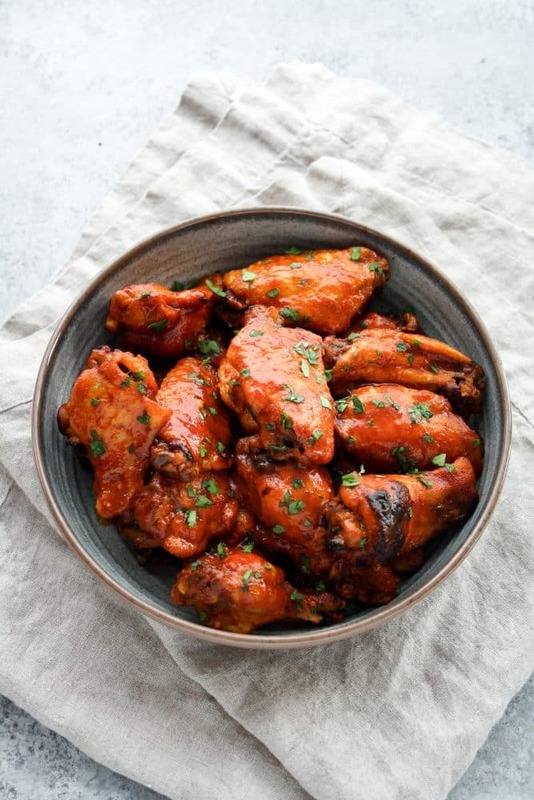 You are my new best friend, I have a son who like you would eat chicken wings at every meal, but husband and I started eating ketogenic – so chicken wings are definitely a new family favorite, and this sounds like a wonderful way to finally get a barbecue sauce we can all eat back in the mix! I am so excited for this recipe! How do I adapt for lack of instapot? Jenn! You are so sweet!! I haven’t personally tried this, but if you have a slow cooker, I would slow cook the wings with sauce on High for 2 hours then transfer to the broil to crisp them up. I will say though, an Instant Pot is THE BEST purchase I made last year. We use ours every day! Hope this helps!! Thank you again!